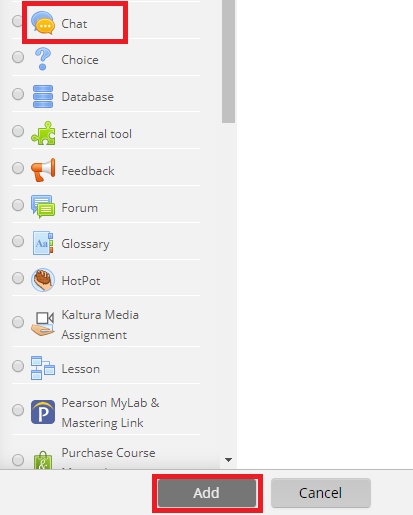 Moodle allows professors to organize online discussions with their students via the Chat activity. This gives professors the option of increasing their availability to students outside of class. They can conduct their office hours in this manner or use it as an alternative to class itself on occasions. 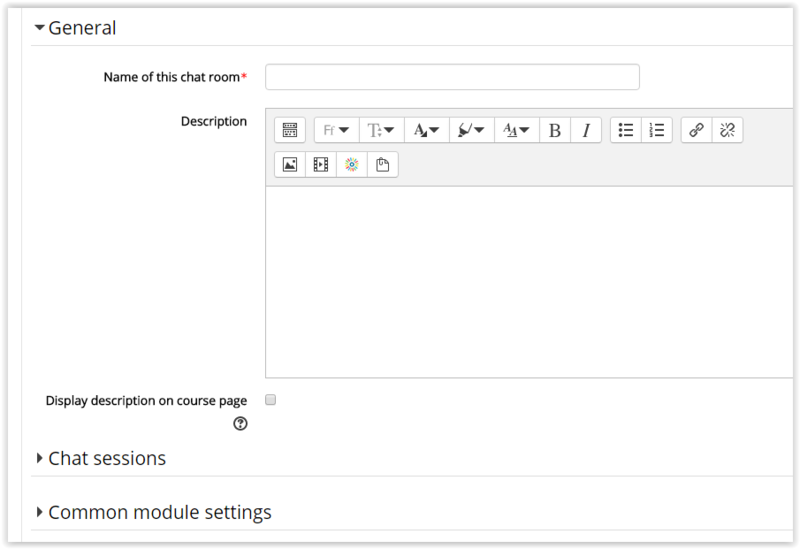 This article will show users how to create a chat using Moodle 2. PLEASE NOTE: There are two different ways to complete the next step depending on which view you are in. If you see two separate drop-down boxes, click Add an activity and select Chat. For more information about this option, view Activity Chooser Options. 4. Select Chat and click Add. 5. Name the chat room by filling in the Name of this chat room field. 6. Personalize the Chat activity in the Chat Activity Settings. 7. Click Save and return to course or Save and display to create the chat.